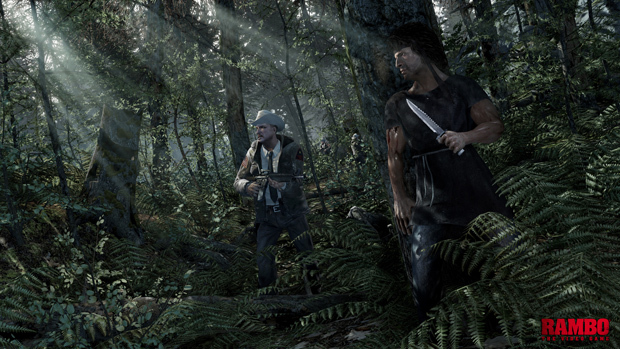 It's been awhile since we last heard of Rambo: The Video Game. After the reveal of the Rambo figurine pre-order bonus, we haven't seen any videos or pictures since. Now, it seems publisher Reef Entertainment is ready to give fans of Sly Stallone another taste of the light-gun game. And yeah, as you can tell it looks pretty rough. Considering how long its been in development, I figured there'd be some room for polish. Though on the bright side, this'll give gamers the chance to finally play as Rambo, via QTE action sequences and scripted gameplay. Awesome!